Vit D has been a hot topic over the last couple of years and is somewhat of a buzzword in the world of nutrition and health at the minute; The first time we wrote something on Vitamin D was in 2009 on Mac-Nutrition 1.0 about Vitamin D and immune function. Since then it has been a real area of interest so we thought we would share some interesting information, research and reports on it. First up, a Case Report of two men who consumed approximately 1,700,000IU of Vitamin D3 per day (PDF) for over 7 months! The consequences? right-sided flank pain, conjunctivitis, anorexia, fever, chills, increased thirst, and vomiting, weight loss and acute renal failure. The 'normal' range for blood Vit D levels (25-hydroxyvitamin D [25(OH)D]) is 20–80nmol/L, in this case it was 1555-3700nmol/L!! In this instance, the men had been unknowingly using table sugar that was contaminated with super high levels of Vitamin D.
The effect of vitamin D on insulin resistance in patients with type 2 diabetes [PDF] – 50,000IU per week for 8 weeks resulted in significant improvements in serum FPG, insulin and HOMA-IR after treatment. Therapeutic implications of vitamin D and calcium in overweight women with polycystic ovary syndrome – This study used a daily Vitamin D3 dose of 3533IU in 5 participants and 8533 IU in the other 7 as well as 530mg of Calcium. It found improved androgen (normalizing of testosterone) and blood pressure profiles after 3 months. Improving the vitamin d status of vitamin d deficient adults is associated with improved mitochondrial oxidative function in skeletal muscle – Vitamin D supplementation augments muscle mitochondrial maximal oxidative phosphorylation after exercise in vitamin D-deficient individuals experiencing fatigue. This is the first demonstrated link between vitamin D and the mitochondria in human skeletal muscle. The effects of Vit D3 supplementation on serum total 25[OH]D concentration and physical performance: a randomised dose–response study – Increasing serum 25[OH]D had no significant effect on any physical performance parameter – 1-RM bench press and leg press and vertical jump height. Vitamin D Status and Supplementation in Elite Irish Athletes – Wintertime supplementation (5000IU/day) significantly increased Vitamin D levels, & corrected any insufficiencies/deficiencies. Vitamin D levels significantly decreased in those that did not receive a vitamin D supplement, with 74% of athletes classed as vitamin D insufficient/deficient after winter, compared to only 35% at baseline. The effects of Vit D3 supplementation on serum total 25[OH]D concentration and physical performance: a randomised dose–response study – 20000IU or 40000IU/week for 12 weeks. 57% were deficient at baseline (mean = 51nmol/l). 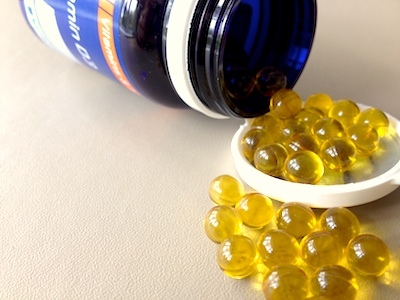 Following 6 and 12 weeks supplementation with 20000IU (79 & 85nmol/l, respectively) or 40000IU (98 & 91nmol/l, respectively), serum vitamin D concentrations increased in all participants. Supplementation with 7000IU/day for 26 weeks in obese individuals did not improve body composition (DXA; subcutaneous and visceral adipose tissue), intrahepatic and intramyocellular lipids (MRI and MRS), insulin resistance (HOMA-IR), blood pressure, plasma lipids and circulating inflammatory markers. Hi Martin! Welcome to the Livefyre community. Please feel free to let us know if you have any questions or feedback for us. We’d be happy to help! @annedreshfield The LiveFyre comments are currently showing on pages where I’ve deselected ‘allow comments’ – any idea how to change this? @annedreshfield @MacNutrition Livefyre is best commenting system. My Friends also like this system. If we compare disqus and livefyre then Livefyre is best. Thanks for putting together this list of links. Very helpful! I am currently carrying out research on vitamin D under Prof. Kevin Cashman here in Ireland. I thought you might find this recent paper published by the vitamin D research unit to be quite interesting: http://journals.cambridge.org/action/displayAbstract?fromPage=online&aid=8663771 .It looked at the vitamin D status in the Irish pop using blood samples taken as part of the National Adult Nutrition Survey. It serves to further highlight the extent of the vit D problem we have on a population wide level. My current research is exploring this further. If you want any more info on the research we are carrying out, don’t hesitate to contact me. Thanks for all the super information you have provided here.